A day at Praxis can be overwhelming, especially with our fast paced work environment and diverse workforce. With our Pack consisting of many people from all parts of the world, we want anyone that walks through the plant to see a clear, visual representation of just how diverse we are. 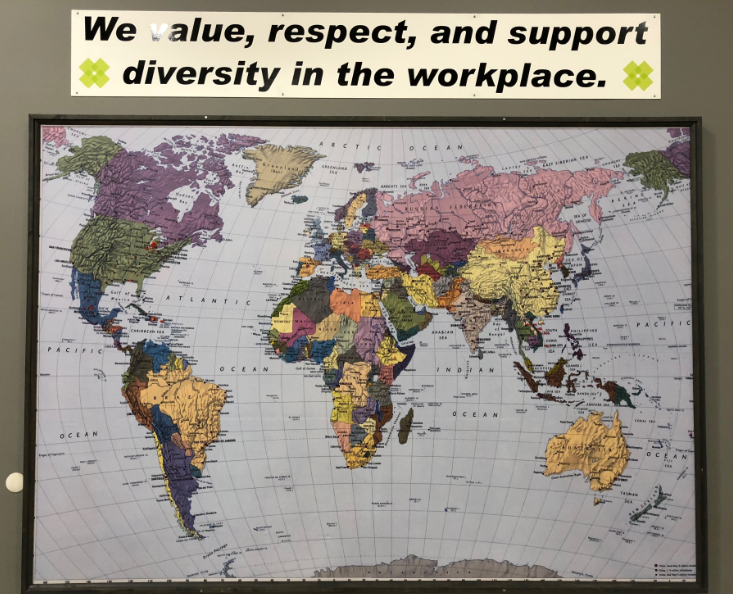 To showcase our diverse family, we unveiled a World Map, prominently mounted on the wall, located in the middle of the Main Production floor. Members of our Pack are encouraged to pin their home country with red pins to help us proudly display our diversity. By showcasing this map, we are hoping to incite thoughtful conversations amongst our peers in regards to the cultural melting pot at Praxis. Currently, members of our Pack mostly represent America, Vietnam, the Democratic Republic of Congo, Mexico, Cuba, and Puerto Rico. If you are a current Praxis employee and have not yet participated, please see a member of HR to grab a pin!